Their Stand By Me Tour is following the release of their highly anticipated debut album. Coming out on Friday 26 October, the album features the choir’s much-loved version of Stand By Me that they performed at this year’s Royal Wedding. The choir’s diverse album track listing also includes original tracks and captivating renditions of Beyoncé’s Halo, John Legend’s All Of Me as well as Stormzy’s Blinded By Your Grace Part 2. Their inaugural show at the Royal Albert Hall will mark exactly one-year of their remarkable and mesmerising royal wedding performance, a crown jewel in the London calendar for 2019. 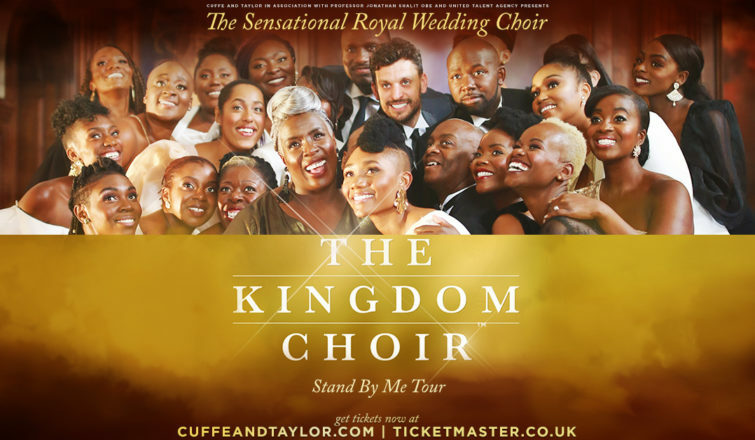 The Kingdom Choir are a unique group of seasoned and dedicated men and women delivering high quality performances time after time with their strong blend of choral discipline with the raw Gospel spiritual sound. Their extraordinary talent, sound, energy and ability to execute have kept them in high demand nationally and internationally for well over a decade.